Dream ODI XI of 2016: A Galaxy of Stars: So yet another year is about to bite the dust, leaving behind some fond memories, moments of joy, delight, heartbreak, failure, success, and everything that makes up for a super exciting year. And Cricket bestowed upon us some wonderful gifts throughout 2016, in form of some fine individual and team performances, especially in One-dayers. From De Kock’s ballistic 178 at Centurion to Rohit’s enterprising 171 at Perth, from Hales’ epic 171 to Kohli’s master class of 154, cricket lovers witnessed many run-fests. But it was not only about batsmen, as bowlers, particularly the spinners put up some serious performances, be it Tahir’s seven-fer against West Indies or Narine’s six-fer against Proteas or Mishra’s magical five-fer at Visakhapatnam. Today, we have assembled the top ODI performers of the world and unified them into a dream team. 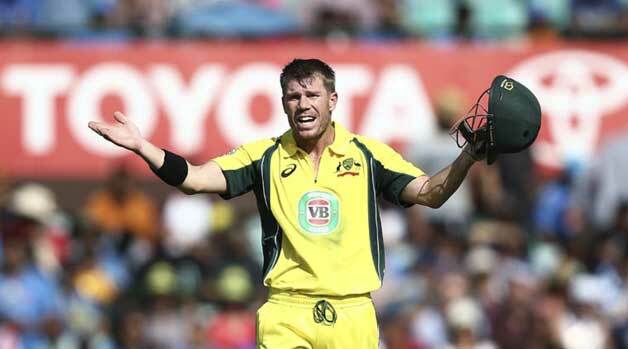 Somehow, David Warner was unable to bat as well in ODIs as he was doing in Tests. And after averaging in mid 20s and 30s in all calendar years, he finally showed some improvement in 2015. But in 2016, world witnessed the best of Warner in 50-overs format. He went on to score as many as seven centuries in 23 innings. The 30-year-old now plays with some responsibility and has mellowed down a lot in comparison to the brash Warner, we knew earlier. The Australian Vice-Captain is a focused man now, who knows what he should be doing. In absence of Smith, he had marched Australia to a brilliant series win in Sri Lanka. His 136-ball 173 run-knock chasing 328 at Cape Town, 106 during chase at Pallekele, and 156 run-innings at Melbourne to set-up a total of 264 runs against New Zealand, were the high points of his batting in 2016.